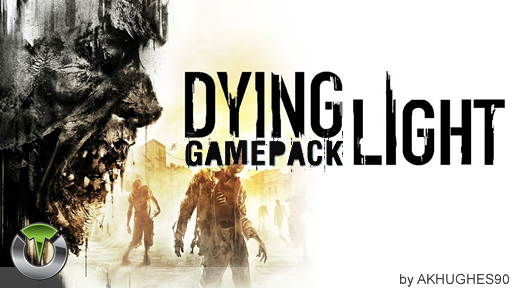 Dying Light (by AKHUGHES90) Gamepack for Titan One. When using this Gamepack on PS4 with a controller without the touchpad, the Gamepack will automatically remap the touchpad click to the (SELECT/BACK/VIEW) button. The SHARE button could be changed to L3/LS button if the option "G8 Alternate" is enabled in the device settings. In that case combination to enter in menu mode are (L3/LS) + (START/OPTIONS/BACK/VIEW). This mod uses Turbo Crouch to prevent you from taking as much fall damage. Hold crouch while falling to use this mod. This mod will constantly activate survivor sense for you, so you won't miss a thing. Hold Sense button for 5 seconds to activate and press sense button to stop. This mod will automatically pick any lock for you. Press (LS/L3) and (RS/R3) together to activate. When rapid fire is enabled, you can turn virtually any weapon into a fully automatic weapon. This creates a very unique advantage for players using semi automatic weapons. While rapid fire will not usually make a fully automatic gun shoot any faster, it can have positive side effects on fully automatic guns such as reducing recoil, helping players conserve ammunition and achieve more headshots. The rapidfire will only be activated when fully pressing the fire button. With Hair Trigger MOD you can ensure your weapon will fire and/or aim as soon you touch the correspondent trigger. Swap your Jump and Survivor Sense buttons for a more natural feel to gameplay. Swap your Zoom and Equipment buttons, making zoom like CoD's ADS instead of toggle. Auto duplicate weapons in the Safe House located in the middle of Old Town. Auto Loot do what the name implies. It automatically press the pick-up button to grab all items as fast as possible. Hold Loot button to activate. Auto Escape automatically press the escape button to escape from the zombies as fast as possible. Hold Escape button to activate.